So we are now in November and our event season has come to a close. It’s been a busy busy busy year full of the rollercoaster rides of highs and lows that you expect with horses, but on a whole it’s been a great season. Our first outing of October was with Elfie, who had his first outing after a quiet 6 weeks. We were competing in the 80cm ODE at Valley View Equestrian. The weather was pretty horrendous and the ground was wet and starting to cut up because of it. But Elfie rose to the occasion pulling a 27.04 out of the bag, followed by a fabulous clear SJ. But a little loss of steering at fence 3 cost us the win!! He was awesome round the rest of the track. He behaved impeccably all day, took it all in his stride and showed plenty of promise. Not bad for a 4 year old, barefoot baby competing on the grass for his 4th time and in wet conditions. Such a dude. Then my final event of the 2016 season was with Percy. We headed to Weston Park and had a very annoying final run. He was ace dressage apart from one break in medium trot for 31.5, jumped his socks of Sj but got stuck in the mud at fence 5 and had it down, despite his best efforts not to. Then Xc we were second last to go and the sun was seriously low, there was a lot of talk in the warm up about it. Just so blinding, bright and creating nasty shadows. I half thought do I risk it but it had lost a bit of brightness when it got to me. He was absolutely flying until we got to the log drop into water in the wood and he just couldn’t make it out. It’s always jumped well for me before on other horses but it was just so dark and he couldn’t work it out!!! He is usually so bold and confident with drops and water, we had two attempts then took the long route. I almost pulled up but decided to carry on to jump the next two waters and he was a star. Gutted as it was our last run of the season and he didn’t deserve to end like that. If he’d have had his usual fast clear he could have easily been in the money and in the top 5. At least he finished well and jumped the second drop into water well. We weren’t on our own, In fact there were only 11 clears in the section out of 36. We’ve had some fabulous runs and results this season but this wasn’t our day. On 16th October I headed off to Tushingham Arena for a bit of dressage with lorry full of my ponies who all made me so proud. Our day started with Elfie in the Prelim 7, he totally smashed it with a 74%, leading the way by 2.7%. He was a total dude. Next up was Florence in Novice 34, she hadn’t made an appearance since we fell showjumping back in July, but was quite a cool cookie apart from a few typical diva moments, to take 2nd spot on 68.5%. Percy was also in the Novice 34, I was chuffed to bits with his test but the judge wasn’t so keen and he only scored 66.6% for 4th. Then Percy had a go at Elementary 49, his first ever and he was a complete dude and did everything where he was supposed to and felt lovely but with the same judge that has never liked my cow pony he scored 62.6% for 4th. Florence was also in that one and felt like she was getting rather excited at times and ready to pop but held it together to win on 65.3%. So all in all not a bad day with 2 X 1st’s, a 2nd and 2 X 4th’s. 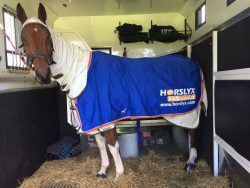 The following weekend we had a little bit of a crazy weekend with 4 horses competing at the BRC Area 20 Intermediate Dressage Qualifiers. 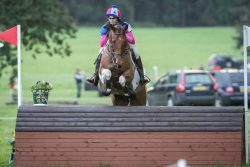 On Saturday I had Elfie out first for the Prelim 7 as an individual. He was a little star and did a very sweet test to score a whopping 73.8% less then 1% behind the leader for 2nd place. Incredible for a 4 year old at his first area competition. Then I flew home to get Frankie and head back to do the Novice 30 as part of a team for Tushingham RC. He was rather expressive or should that be explosive having not been in the white boards since May, he scored 65.5% for 9th individually and team 5th. Then on Sunday I had Percy and Florence back there for the Novice 34 and Elementary 49. Florence did 2 beautiful tests for 73% and 66.1%. For 9th, 8th and a team 8th. I was thrilled to bits with Percy, he made a few mistakes but on a whole was a very good boy for 68.5% in the novice and 66.1% in the elementary for 7th and team 6th. Busy weekend but all very good ponies and I didn’t forget any of my 6 tests!!! Great team spirit with Team Tushingham and great to catch up with all my riding club friends. And Mum was a super help at getting the horses changed over on the lorry. On 25th October I had a bit of an unusual trip up to Aintree International Arena. It was for a lesson with Chris Bartle, for the British Eventing Training & Education Cross Country Masterclass. My cow pony Percy was a super star and we learnt some very valuable pointers. It was a real honour to be invited to be one of the riders. It was a little nerve wracking riding and being a Guinea pig in front of around 150 people that were there to watch the clinic but such an honour to be taught by such a master of the sport. If you get the opportunity to attend one of these Masterclasses I can’t recommend them enough, the trainers have some great tips and exercises for all levels. Tonight we had the pleasure of watching Jeanette Brakewell and Tyler Cassells put some of their horses through some fantastic exercises with Chris. A thoroughly enjoyable evening. Elfie has had a couple of little outings to Southview to hire their indoor arena with jumps, because in November he is doing the BRC Area 20 novice showjumping qualifiers for Tushingham & District Riding Club but has never jumped indoors before. He has coped with the change of scene really well and jumped fantastically well and been so brave. Let’s just hope the atmosphere of a competition doesn’t upset him and he does me proud on the day. And I have one more bit of exciting news to tell you. We are expecting the pitter patter of tiny hooves next year. Florence is going to have a baby!!!! Her husband is Amiro Z. Exciting times ahead.